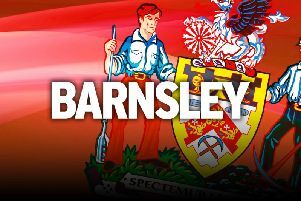 Barnsley boss Danny Wilson is hungry to strengthen his squad before the transfer window shuts on Monday evening (11pm). Wilson has already signed SIX new players since the transfer window re-opened at the beginning of the month. George Williams, Josh Scowen and Milan Lalkovic have been signed on permanent deals, while Ben Pearson, Alex Kiwomya and George Waring have joined on loan. And Wilson has also extended defender Peter Ramage’s loan deal from Crystal Palace until the end of the season. But Wilson wants more recruits to help try and guide the Reds up the League One table having slipped to 18th in the standings. “We’re closing in on a few players, but whether we get them or not is a different thing,” revealed Wilson. “It’s no secret that we need to strengthen in a few areas, but I’m looking at a number of positions. “We do need that experience because even though a lot of the young lads have done well. We’ll keep working at things and hopefully something drops for us. And the return of star striker Sam Winnall and club captain Martin Cranie, both of whom could start against Port Vale on Saturday, is also a big boost to Wilson. Young defender Mason Holgate will be available after two more games when his three-match suspension finishes, with only James Bree a long-term injury concern. “We’ve got to get our sleeves rolled up now and show some character,” urged Wilson. “We’ve played well for long periods of matches in recent weeks, but it’s silly mistakes which have cost us. “It’s about showing character, staying strong and showing that we’re up for a fight. “The second half of the season is always when you see the true character of the players, whether you’re aiming for promotion or you’re trying to avoid relegation. “We’ve got to keep believing and working hard to get the results we want. The Reds slipped to an agonising 2-1 defeat to the Valiants when the two sides met at Vale Park back in September. A 89th minute goal from Mark Marshall won it for the hosts despite Conor Hourihane’s equalizing penalty having earnt Wilson’s men a point on their travels.